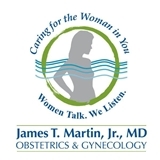 James Martin, MD (North Charleston) - Book Appointment Online! Our doctor, physician assistants and staff share the same goals and values and we dedicate our career to providing our patients with the very best in medical care. Our office is constantly staying on the cutting edge of medical advances so that we can better serve our patients. We also provide an informative and relaxed atmosphere where you will feel valued and cared for as a member of our family.